The New Year ushers in a minimum wage increase in 18 states, and in many states the increase is accompanied by a new minimum wage poster. The minimum wage also increased in California, Hawaii, Michigan, and Vermont. However, these states previously updated their minimum wage poster to show rates for multiple years, including 2018, so employers who were up-to-date on their postings don’t need to put up a new poster at this time. The new state minimum wage rates (shown in the chart below) took effect on January 1, 2018, in all states except New York, where it became effective on December 31, 2017. Employers should make sure the current minimum wage poster is on the wall, to comply with state laws and make employees aware of the new rate. When a state has its own minimum wage, both the state and federal minimum wage posters must be displayed. 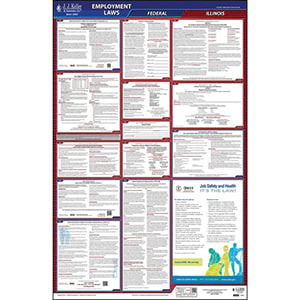 Employers with federal contracts may also need to display an updated poster. The United States Department of Labor (DOL) made a mandatory change to the federal contractor minimum wage posting to show the 2018 rate of $10.35 per hour. A new minimum wage is the most common reason for a mandatory poster change at the beginning of the year, but other laws also brought recent poster updates. New Minimum Wage Poster Needed? *Rate varies based on business size. **Rate varies based on location. Effective December 31, 2017. ***Workers 14 or 15 years old may be paid a lower rate.